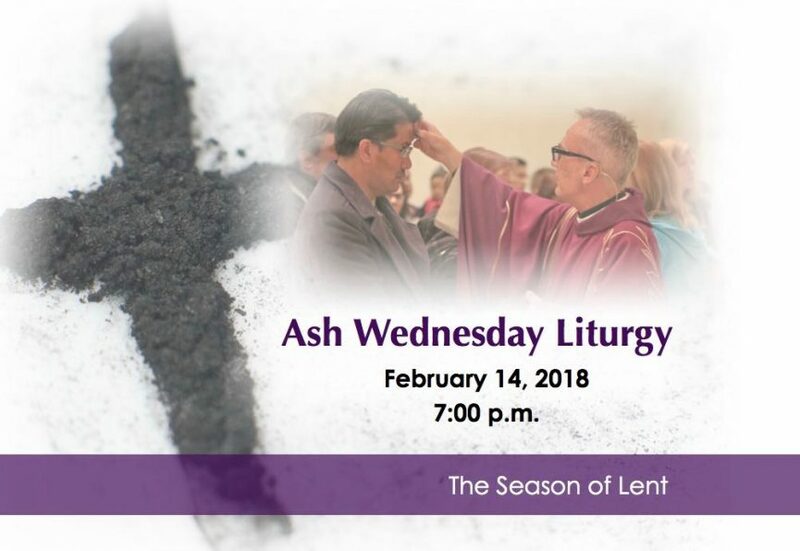 Ash Wednesday – 7:00 p.m.
Our communal celebration to begin the season of Lent will be held Wednesday, February 14 at 7:00 p.m. In this liturgy, we will hear the call to Lenten conversion and the opportunity to deepen our life as the baptized. The signing with ashes, will mark our willingness to “turn away from sin in order to be faithful to Gospel living”. Jesus’ Way to the Cross models so much of what we as Christians face every day in our lives as we strive to live as God’s children. Each time we reflect on the “way of Jesus” to the Cross, we are drawn into the deeper meaning of our own fidelity to Jesus and our life as Christians. Praying the Way of the Cross is an invitation to encounter not only the Jesus of history, but also the Jesus of mystery. The Way of the Cross will be prayed every Friday evening at 7:00 p.m. during the Lenten season.